I would like to know if it is possible to use column values in RegEx? objRegex.Pattern = "^\s*\d+\s*([^\s]+)\s*[^\s]+\s*" & port & "$"
This will extract a complete list of MAC addresses, get a value from the port column and then use that value in the regex to extract MAC addresses bound to the specific port. Today I did some tests on this. It works but needs some kind of delay before column script execution. After the initial scan the column reflect an error response over the telnet communication. I believe it is because it depends on another column that's on process to show its final value. If I do a post rescan only over that column it shows the result of the show mac address-table as expected. What do you think? Maybe some kind of wait (sleep-delay) command on top of the script? I don't think it's a matter of delay: the script is executed after all other columns are finalised. Unless the port column is another script column, in which case it may not be executed in the expected order. Also, you mentioned an error. Could you please tell what exactly you are getting? Sorry, I did not take note of the message. I don't remember the exact error but I believe was of communication base on an unknown switch IP As you mention, depends on two scripts columns Switch IP column, and Switch Port column. The VoIP phone on its web page show both (neighbour cdp). Has to be a script and not with remote XML because we are dealing with different models with different path. I wonder if assigning that column to a virtual one might solve the dilemma? The latest builds increase the maximum simultaneous number of dynamic columns of the same type from 10 to 50. The /maxcols switch has been removed. While this should provide more than enough columns for any practical purpose, there is a chance that RegExes and column colours may be lost or assigned to incorrect columns. Unfortunately this has to be fixed manually, but it only needs to be done once and for all. Please make a backup copy of your config files prior to the update. All you have done, so far, its pretty amazing!! Allow windows to be resized and maximize. Example: Visible columns, Remote scripting, etc... This might allow big amounts of data rows, including visualized regex, to be manipulated (moved or relocated) in an easier and more comfortable way. Up and down arrow buttons, maybe move to end, and move to top also (drag and drop is fantastic please don't misunderstand me). Format copy (copy regex, text, highlighting and other properties of an specific row to others). Alternative to toggle the selected rows. Example: select all, or select only those that are not already selected. I have been doing some tests, but every time I do any changes the program restores all the hidden columns and erases the regex and properties (especially those that are not VC). 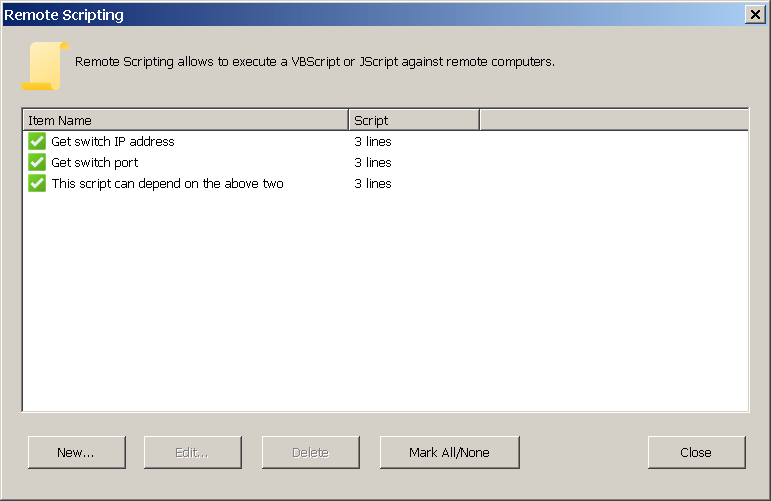 Tests where executed on visible remote scripts changes or applying some regex to a column view. Thank you for your feedback. Definitely your suggestions A to D above sound useful and we'll review and implement some or all of them. Regarding the issue where the program restores all the hidden columns and erases the regex and properties, could you please provide a reproducible test case? What exactly did you do to make it happen? In the meantime, good news: we've implemented column layout upgrade from old configuration files. If you download the latest build, it should correctly read all columns details from your configuration files, whether you used /maxcols or not. Hi Andrew, … sorry for the delay.